Features: 100% Brand new and high quality. Quantity:1 Material: Plastic and metal. Weight:125g Color: black. The case can hold 4 x 18650 batteries (battery is not included) Size:9cm x 4.5cm x 4.5cm. Cable length: 55cm Can be placed in four 18650 batteries to power bicycle lights. Supports rain riding, can not be used for diving. 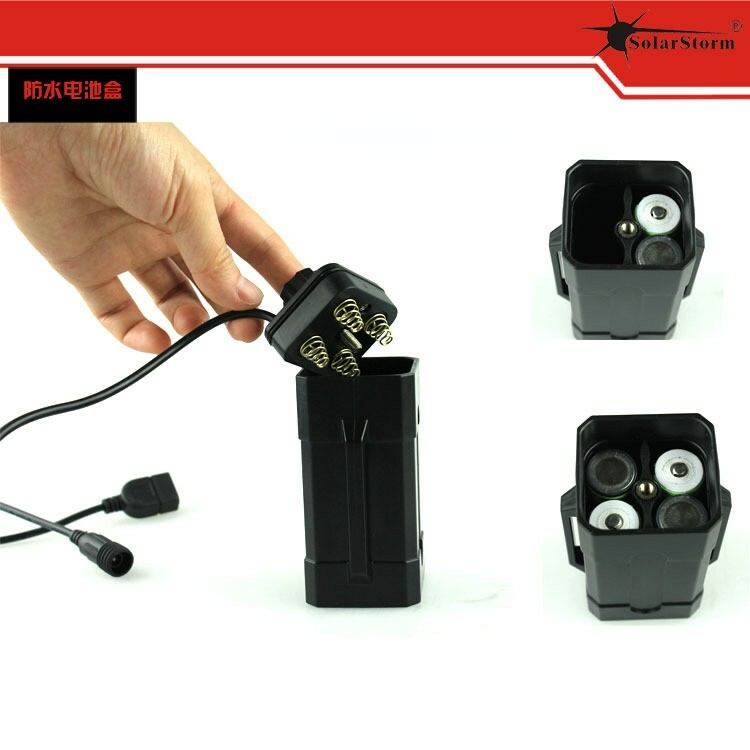 Suit for X2, X3 bike light and cell phone Output voltage: 8.4V, input voltage: 8.4V; Standard 5.5DC connector (5.5mm x 2.1mm), USB Output: Max. = 2A; DC Output: MAax. = 8A. 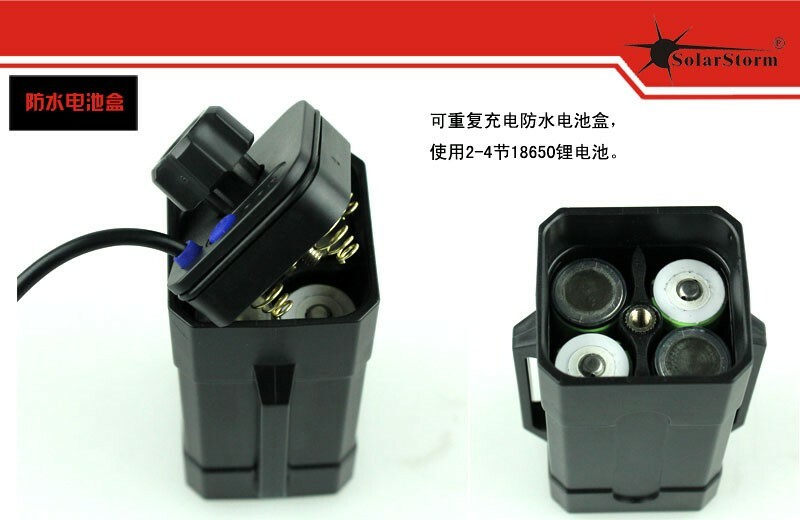 Waterproof: IPX4 Put 4 18650 batteries (pay attention “+” “-” pole) into the case, waist the black button to make the cover fix tightly.Then connect the bike light or cell phone, it can be used. 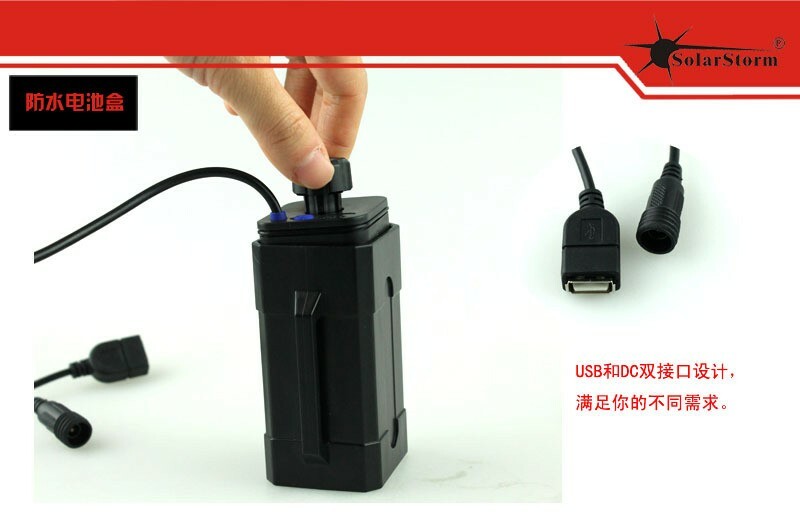 This product is easy and convenient to use Package Include: 1pcs 18650 battery case holder(no include the battery) Note:This item come without retail box,but we will pack well before shipping.